If California is known for little else, people remember it for Hollywood, the stunning Pacific beaches and of course, wine country. Yes, the most famous part of wine country is the Napa Valley, but wineries in California are actually situated up and down the state. Santa Cruz is no exception; the wineries here serve up tours, samples, gift shops and more, the Santa Cruz wineries give the northern Napa area a real run for its money. Bonny Doon Vineyard is one of the more popular wineries in Santa Cruz. It was founded in 1983 and offers intimate dining amidst the elegance of the winery setting. 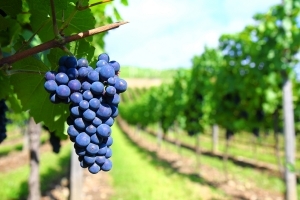 Moreover, the wines are “reflective of terroir, whether on a regional macro level or a single vineyard micro level,” according to the winery website. The food prepare for dining purposes is made with the winery’s beverage offerings in mind for excellent pairing choices. The menu actually changes every day and the produce used in the dishes is from farms around the region, adding a nice local touch to the menu. By comparison, the Santa Cruz Mountain Vineyard has been open since 1975 and is one of Santa Cruz’s best kept secrets. This winery produces European wines, and is particularly known for its Pinot Noir. It specializes in wines with a moderate level of alcohol and oak, with the idea that the authentic qualities of the grape can be experienced as a result. After being located in the surrounding mountainous area, the Santa Cruz Mountain Vineyard moved into the city and opened a tasting room, so that people could walk from winery to winery while experiencing all that Santa Cruz has to offer. The Beauregard Vineyards is another winery that offers tastings, tours and more. This is a family business that has an innate focus on handcrafted products, including Sauvignons, Zinfandels, Pinot Noirs and more. The price to taste five different wines is just $5 and there is an on-site sommelier and cheese educator to give more information on proper pairings. Alternatively, you can visit also breweries or coffee houses during your stay in Santa Cruz.